2019 Rally Day attendees discussing farm and food policy issues before heading to the Capitol to meet with Legislators. 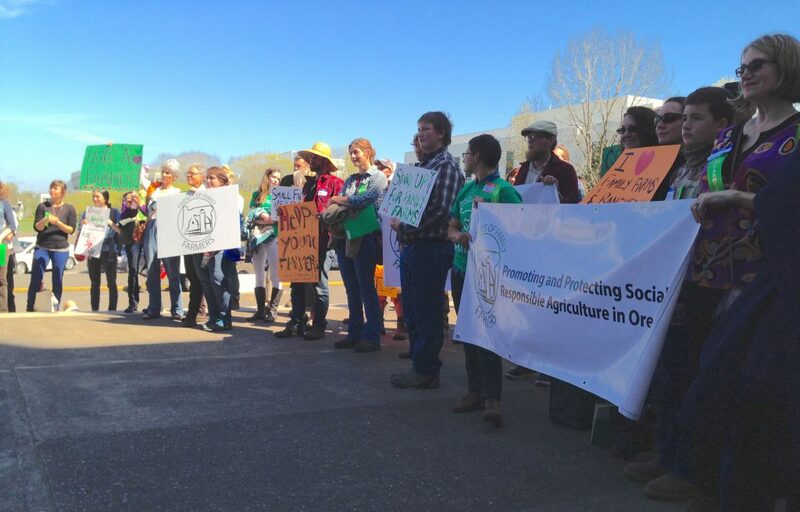 On Wednesday, March 27, more than 150 farmers, ranchers and good food supporters from across Oregon came to Salem for our fifth biennial ‘Family Farms Mean Business’ Day at the Capitol. We held policy workshops in the morning where we learned about current issues being debated at the Legislature and heard from Alexis Taylor, Director of the Oregon Department of Agriculture. At noon, we held a rally on the Capitol steps to advocate for bills to support beginning farmers, farmers markets, a ‘time-out’ on new industrial-sized livestock operations, new incentives for climate friendly agricultural practices, and more. In addition to a rally on the Capitol steps, a day-long ‘farmers market’ took place inside the Capitol lobby to help demonstrate the importance of small farms and local food producers, and farmers met with Legislators throughout the day. We are very thankful to all those who came to Salem to make their voices heard. This kind of citizen engagement for small farms and healthy local food systems is critical if we want to enact policies to support small and mid-sized family farms and local food producers. 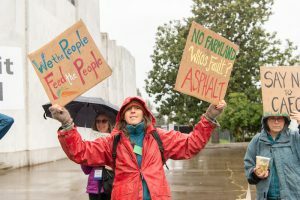 If you missed the event, you can get a recap of the rally in the Capital Press article about the event (Farm group rallies at Oregon State Capitol) and check out a photo album from the day on our Facebook page or here. Mid Session Update – What Bills Are Still in Play? HB 3085 – Creates a new Family Farmer Loan Program to provide low-interest loans to small and mid-sized farmers for land and equipment, including beginning farmers – a public hearing was held March 14 and it passed the House Agriculture and Land Use Committee unanimously on April 9. It is now in the Ways and Means Committee where we need to advocate for funding between now and the end of the session in June. HB 3090 – Beginning Farmer Incentive Program to help with student loan debt and tuition assistance – a public hearing was held March 14 and it passed the House Agriculture and Land Use Committee unanimously on April 9. It is now in the Ways and Means Committee where we need to advocate for funding between now and the end of the session in June. HB 3091 – Fee reduction for the existing Aggie Bonds beginning farmer loan program – a public hearing was held March 14 but the bill died in Committee at the March 29 scheduling deadline. Despite this bill failing, the Aggie Bonds program still exists and may be a good option for low-interest lending if you are a qualifying beginning or expanding small farmer. HB 3092 – Creates a new Beginning Farmer Tax Credit to encourage leasing land to beginning farmers and ranchers. In the House Revenue Committee, has not yet been scheduled for a hearing. SB 727A – $3 million in funding for Double Up Food Bucks programming at farmers markets and other farm-direct locations – Passed the Senate Human Services Committee March 14; Awaiting action in the Ways and Means Committee. HB 3170 – Provides roughly $1.5 million in funding to support Farm Direct Nutrition Programs for low-income women with infants and children, and low-income seniors – Passed House Human Services Committee April 1; Awaiting action in the Ways and Means Committee. SB 257 – $30 million in funding for the OSU Statewide Public Service Programs, including Extension and Agricultural Experiment Stations – Passed the Senate Education Committee March 27; Awaiting action in the Ways and Means Committee. 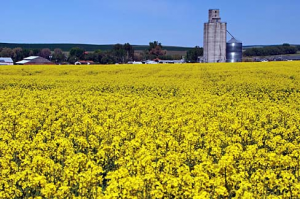 SB 885 – Maintains current restrictions on canola production in the Willamette Valley, capped at 500 acres/year and only under permit to protect the region’s specialty vegetable seed industry. A public hearing was held in the Senate Environment Committee on April 2 and it was passed by the committee in a 3-2 vote on April 4. However, it was sent to the Ways and Means Committee where we will need to work to ensure it moves forward. 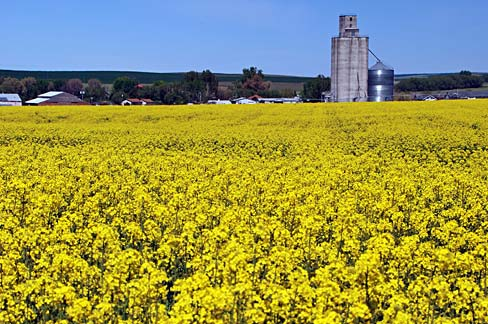 Read more in Capital Press article “Oregon Senate committee passes canola limit bill“. HB 3219 – Similar to SB 885, but explicitly prohibits the production of herbicide resistant or genetically engineered varieties of canola – Died in Committee at the March 29 scheduling deadline. SB 449 – Creates standards for ‘farm cafes,’ to allow farmers to offer prepared meals made with products grown or produced on their and other local farms – Died in Committee at the March 29 scheduling deadline. HB 2020 – Caps industrial greenhouse gas emissions and creates a Climate Investment Fund to support farm practices that sequester carbon in soils and promote irrigation efficiency. This bill is being amended and awaiting action in the Joint Committee on Carbon Reduction. Send an email to your State Legislators here to ensure this bill passes with strong language ensuring small and mid-sized family farms benefit from the program. 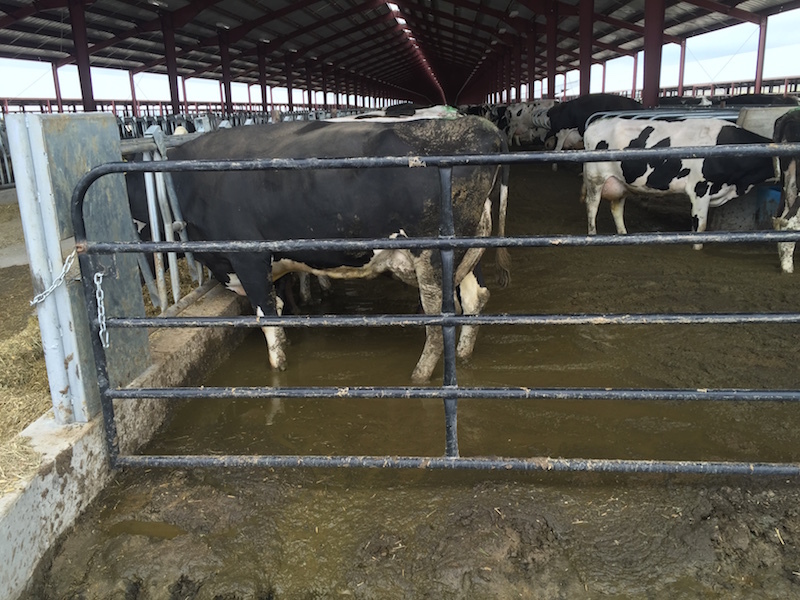 Cows standing in thick manure at the Lost Valley Farm before it was closed by state regulators for more than 200 permit violations and threats to groundwater. SB 103 – Places a moratorium on issuing permits for new industrial-sized dairies while creating new protections for groundwater from overuse and pollution, new air emissions rules, and protections for small and mid-sized dairy farms – Public hearing held in the Senate Environment Committee on March 21; Died in Committee at the March 27 scheduling deadline. 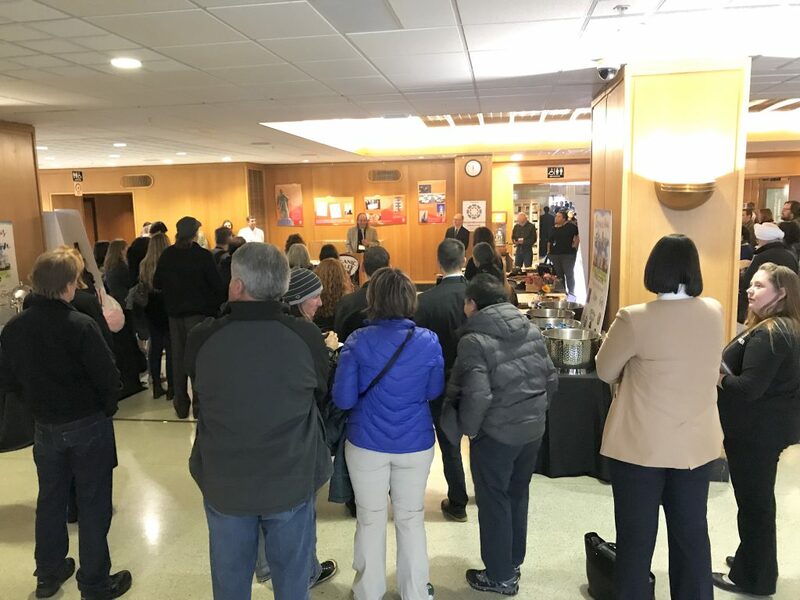 SB 876 – Creates new permit requirements for large confined animal feeding operations to address issues raised by the failed Lost Valley mega-dairy – A public hearing was held in the Senate Environment Committee on March 21. Two amendments were proposed, including one that strengthened protections for groundwater by preventing new mega-dairies from using an exemption that allows them to access unlimited groundwater in areas where groundwater is otherwise restricted due to supply concerns. The amendments and the bill died in a 2-3 vote in committee on April 9 with Senator Arnie Roblan (D-Coos Bay/Tillamook) joining the two Republicans on the committee to kill the legislation. The above two ‘mega-dairy’ bills and our efforts to secure a ‘time-out’ on new mega-dairies in Oregon in response to the regulatory failures that led to the Lost Valley mega-dairy were covered in early April in the Food and Environment Reporting Network article “After mega-dairy was shut down, Oregon lawmakers consider a moratorium on new operations“. HB 2729 – Provides funding for Oregon’s Agricultural Heritage Program, which is aimed at preventing loss of farmland to non-farm uses and providing grants to assist in farm succession and conservation planning on farms. Passed House Agriculture Committee March 26; Awaiting action in the Ways and Means Committee. HB 2882 – Protects farmers by holding the patent-holders of genetically engineered crops financially accountable when their products cause economic harm to farmers who experience unwanted contamination. Passed out of the House Judiciary Committee on April, moving to the House Rules Committee where further discussions will continue. 2019 Rally Day Attendees Learning About Farm and Food Policy Issues Before Heading to the Capitol to Meet with Legislators. The above list is a snap-shot of most of the bills we are tracking or weighing in on this session. We will continue to post updates and more information on our Muckboots in the Capitol blog throughout the session, but you can also track the progress of these and other bills through the online Oregon Legislative Information System (OLIS). 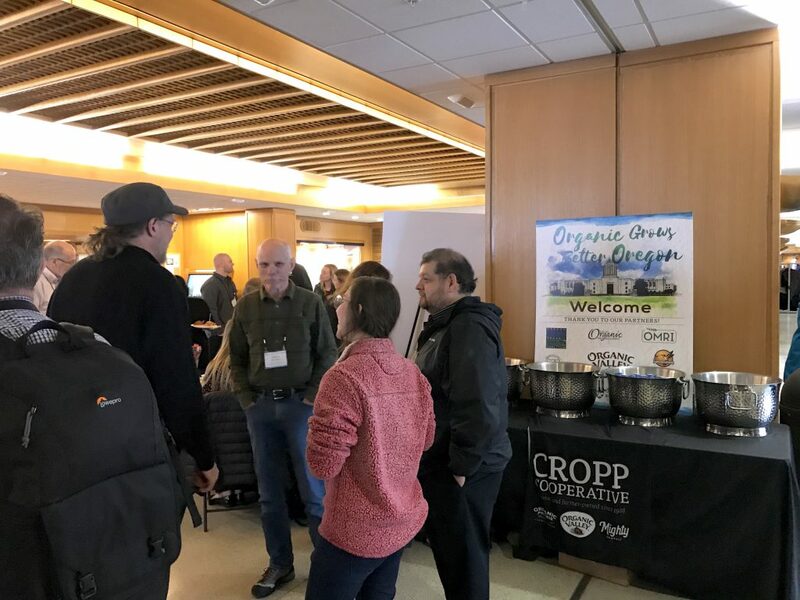 On February 6, a first ever ‘Organic Grows a Better Oregon’ event brought organic farmers and organic advocates to the Capitol building in Salem to talk about the positive economic and environmental benefits of organic agriculture on the state. 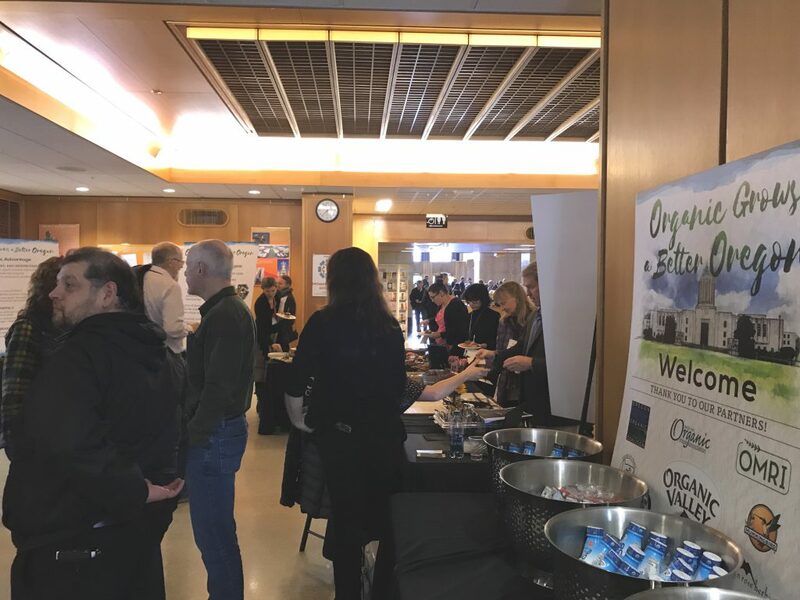 Roughly 90 organic farmers and industry advocates participated in the event, which included meetings with Legislators, remarks from Governor Kate Brown, and an organic education and awareness luncheon in the main lobby of the Capitol building. The event was organized by a coalition including including Organic Valley (America’s largest cooperative of organic farmers), Oregon Tilth, the Oregon Organic Coalition, the Organic Trade Association, Organic Materials Review Institute (OMRI), Hummingbird Wholesale, Mountain Rose Herbs, Friends of Family Farmers, Organically Grown Company, the Oregon State University College of Agricultural Sciences and the Oregon State University Extension Service. 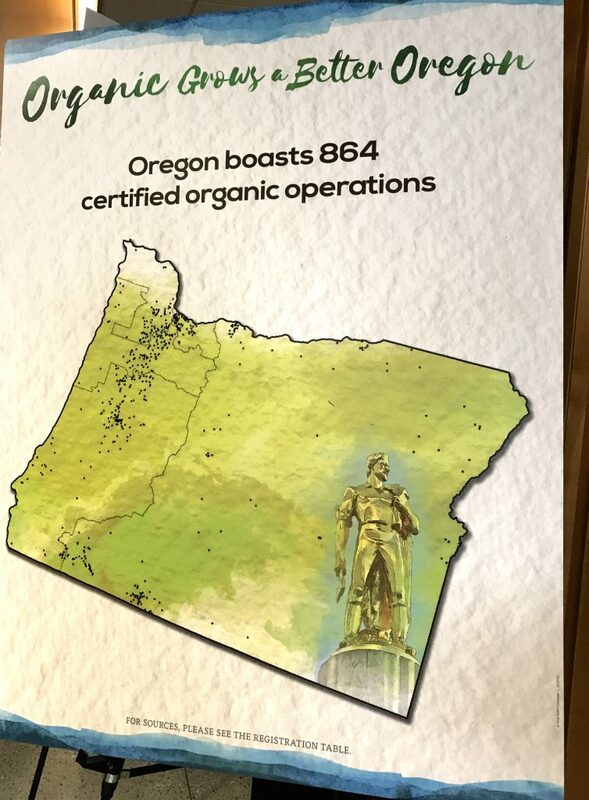 Oregon is already a leader in the organic sector —with 864 certified organic operations and $350 million in organic farm gate sales. The state is ranked 9th in the nation for organic production, and has received more than $13 million in federally funded organic research in recent years. Oregon’s top organic products are milk, alfalfa, potatoes, cattle and berries, and roughly 1/5 of the dairy farms in Oregon are now organic. There are 176,000 certified organic acres in the state, and 91% of households purchase organic products. 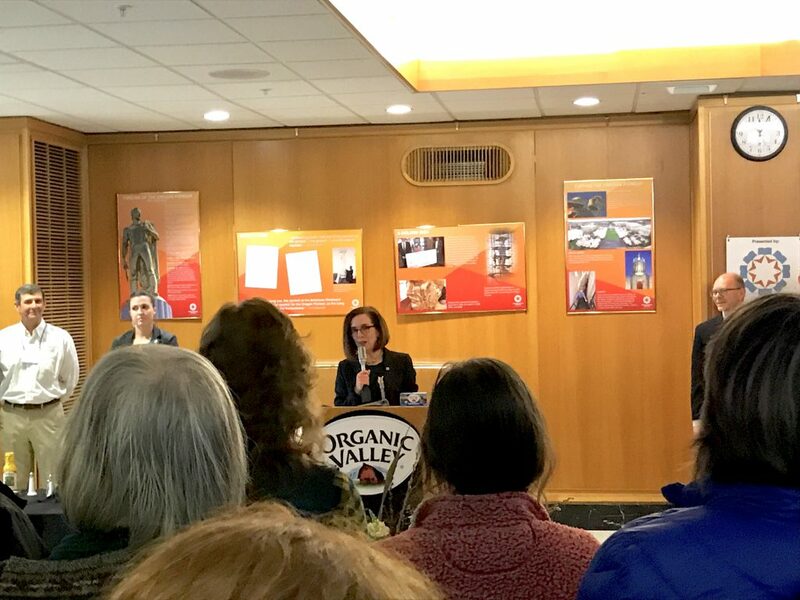 Organic Valley in particular has made significant investments in Oregon, building its first brick-and-mortar processing plant outside of Wisconsin – the McMinnville Creamery – in August of 2017, adding 50 jobs to the state and a $21 million capital investment. Throughout the day, farmers and advocates took their message to Legislators, asking for the creation of a state-level Organic Advisory Council to advise the Oregon Department of Agriculture, the Governor’s office, the Legislature, educational institutions and other state agencies on actions and policies needed to further the organic industry in the state. 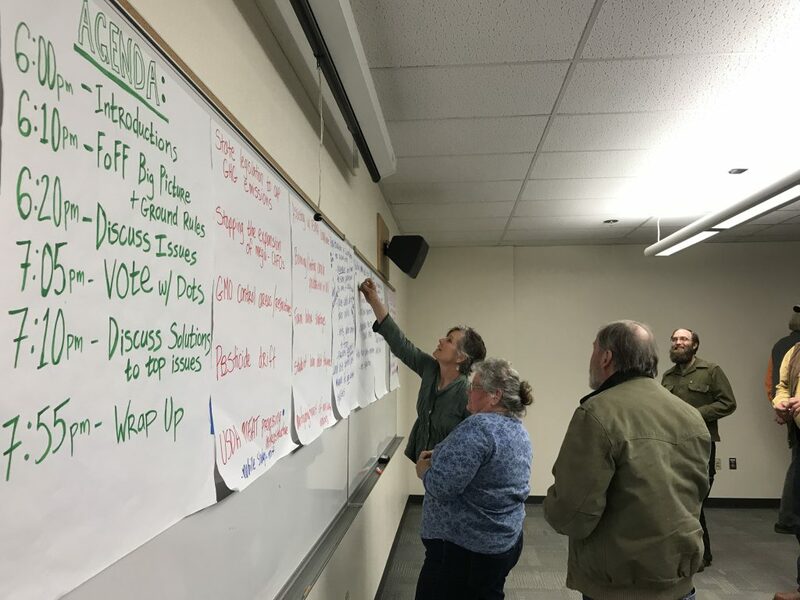 Additionally, the group advocated for expanded investments in the state budget for organic agriculture, including at least four full-time positions that would focus on assisting certified and transitioning organic operations with production and supply chain challenges. 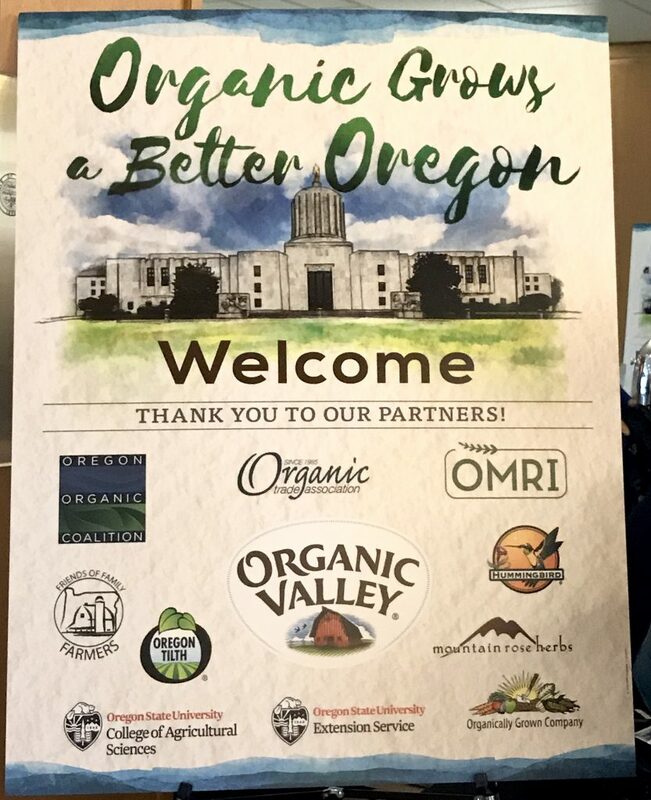 Friends of Family Farmers was proud to be part of this first-ever organic focused advocacy event at the State Capitol. We plan to continue our advocacy for more significant state investments in organic agriculture at our March 27 ‘Family Farms Mean Business’ rally day at the State Capitol. Click Here to RSVP – Family Farms Mean Business! Farmers and Eaters rally together for family farms and ranches at the State Capitol in Salem. HB 2729 – Provides funding for Oregon’s new Agricultural Heritage Program. Aimed at preventing the loss of farmland to non-farm uses, under this program grants would be available for organizations and entities that provide farm-succession planning; for conservation planning and easements that provide longer term protection for farmland; and for technical assistance to help entities like land trusts and Soil and Water Conservation Districts to assist producers in long-term land conservation. Update: A hearing was held on HB 2729 at February 12 – read FoFF’s testimony in support here. Beginning Farmer Tax Credit – Expected to be introduced soon, this bill would provide a tax credit for landowners who lease or rent land to beginning famers in Oregon. Update: HB 3092 was introduced on Feb. 26 and is awaiting action in the House Revenue Committee. Small Farm and Beginning Farmer Lending – Bills to facilitate greater participation in Oregon’s existing Aggie Bonds Beginning and Expanding Farmer Loan Program and creating new low-interest lending opportunities for small and mid-sized family farms are also likely to be introduced this session. Update: On Feb. 26, HB 3085 was introduced to creates a new Family Farmer Loan Program managed by the state’s economic development agency, Business Oregon, to offer direct loans to family-scale farmers and beginning family farmers for land or equipment. Also introduced was HB 3091 to reduces fees and costs to borrowers using the state’s existing ‘Aggie Bonds’ beginning farmer loan program, which incentivizes private lower interest lending to beginning farmers and ranchers for land and equipment. Finally, a third bill, HB 3090 would establishes a new beginning farmer and rancher incentive program at the Oregon Department of Agriculture focused on issues of student loan and tuition assistance. All three bills are scheduled for a hearing in the House Committee on Agriculture and Natural Resources on Thursday March 14. SB 449 – Creates standards for ‘farm cafes,’ allowing farmers and ranchers to offer prepared meals made with products grown or produced on their farms or ranches or from the local agricultural area. SB 287 – Establishes standards for ‘farm breweries’ to allow for farm-direct sales of beer from Oregon farms. Update: SB 287 passed the Senate Environment and Natural Resources Committee on March 5 and is now headed for a vote in the full Senate. HB 2790 – Amends rules for what qualifies as an ‘outdoor mass gathering’ on farmland and requires clear and objective standards for permit review of agri-tourism gatherings of 500 individuals or fewer. Oregon Climate Action Program – Establishes a cap on greenhouse gas emissions from the state’s largest emitters (expect for agriculture and forestry), while creating an ‘allowance’ program intended to generate funding for climate adaptation and other programs. Friends of Family Farmers endorsed a similar bill in 2018, albeit with some concerns, because it would have explicitly created a fund to support water conservation on farms as well as farming practices that sequester carbon in soils. We are still in the process of reviewing the bill under discussion in the Joint Committee on Carbon Reduction – HB 2020 – to determine whether small and mid-sized farms will be likely to benefit from the programs the bill establishes. Factory Farm Reform –The following bills were introduced in response to the much publicized Lost Valley mega-dairy near Boardman, which was approved for 30,000 cows by state regulators in 2017. The facility almost immediately began violating it’s pollution permit and used exemptions to tap restricted groundwater areas. Lost Valley ultimately went bankrupt but is currently still in operation despite having it’s permit revoked last year, revealing the need for a ‘time-out’ on permitting new facilities of this scale until tougher rules are put in place. 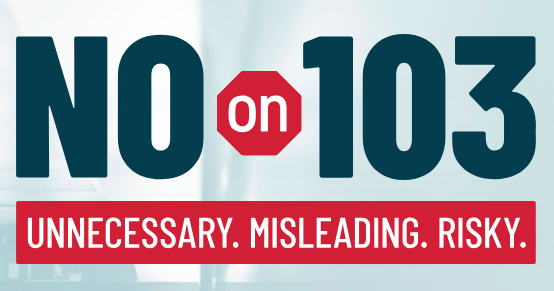 SB 103 – Establishes a moratorium on new industrial ‘mega-dairies’ in Oregon until rules for these facilities are strengthened. Requires the adoption of tougher air emissions and water use rules for these facilities, allows stronger local rules, sets up a bonding requirement, and requires studies on the economic impacts of mega-dairies on other dairy farms, and sets up a task force on animal welfare at mega-dairies. 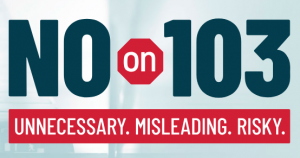 SB 104 – Strengthens the ability of local communities to adopt stronger rules for industrial ‘mega-dairies,’ preventing state agencies from granting permits unless local rules are complied with. SB 257 – Provides $30 million in funding for the Oregon State University Statewide Public Service Programs, which would allow for increased staffing and new investments in Extension programs and Agricultural Experiment Stations to support the needs of family farmers and ranchers. Friends of Family Farmers is working to secure greater investments in Organic Extension agents in particular in order to meet the unique needs of the organic farming sector. Update: SB 257 is scheduled for a public hearing in the Senate Committee on Education on March 18. HB 2882 – Allow farmers that have been harmed by contamination from genetically engineered crops to sue the patent holders of those crops. HB 2619 – Prohibits the sale or use of products containing neonicotinoid pesticides in Oregon. 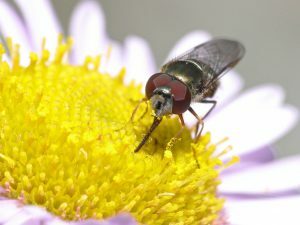 HB 2493 – Prohibits aerial spraying of pesticides to land within the McKenzie River and Santiam River watersheds, which make up much a significant portion of the Willamette Valley. HB 2837 & SB 727 – These bills would provide financial assistance to recipients of the Supplemental Nutrition Assistance Program (SNAP – sometimes called Food Stamps) for purchasing locally grown fruits and vegetables from farmers’ markets, farm share sites and retail outlets. Update: SB 727 had a public hearing in the Senate Committee on Human Services on February 21 – read FoFF’s testimony in support here. We are pleased to announce that we’ve completed our 2018 Farmer and Rancher Listening Session Report & 2019 Policy Recommendations! 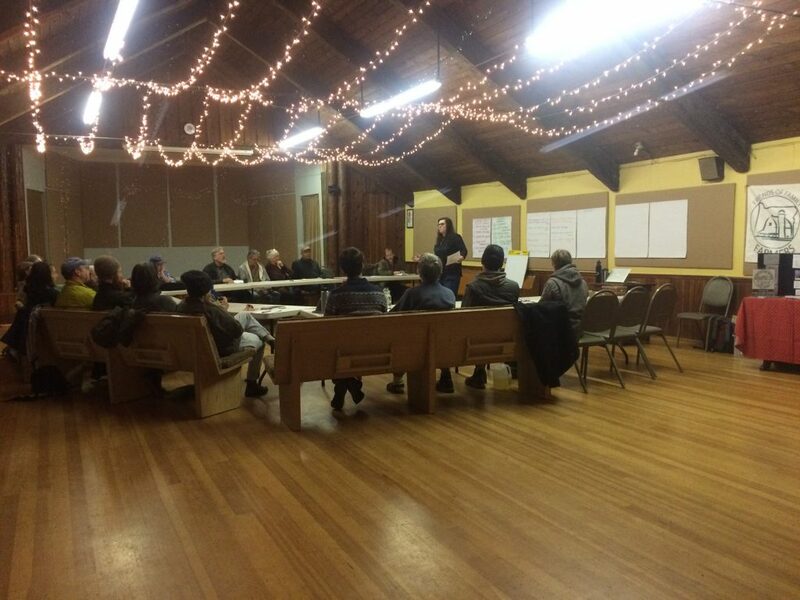 Local farmers & ranchers vote on the top issues at our Listening Session in Astoria. 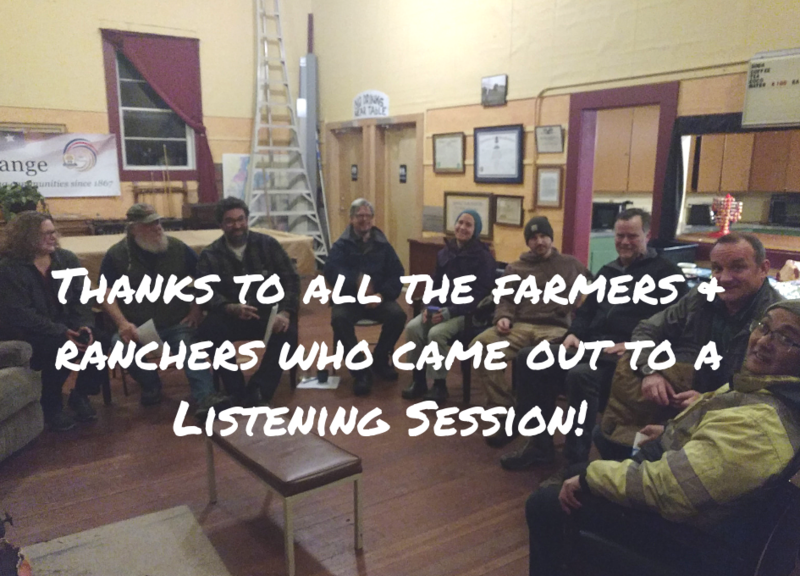 From December 2017 to May 2018, FoFF organized and facilitated 19 Farmer & Rancher Listening Sessions across Oregon. 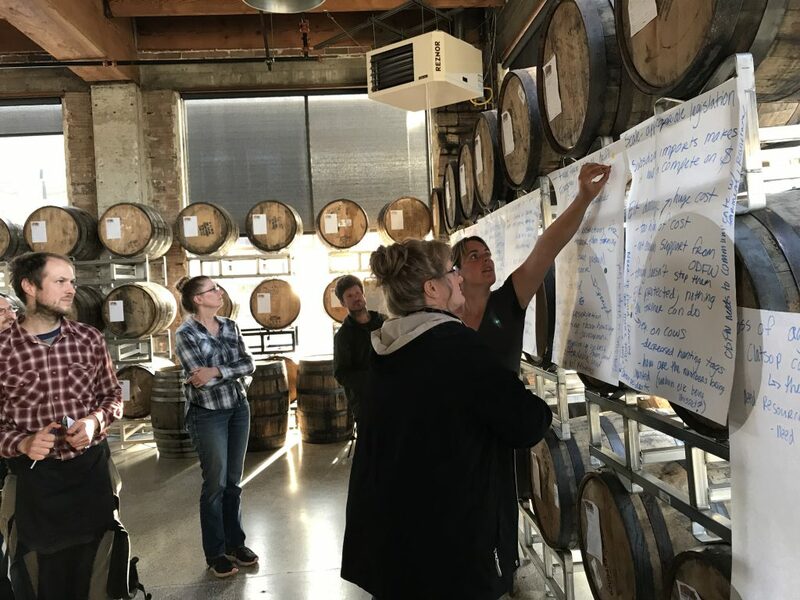 We invited producers out to local Grange halls, libraries, and breweries to talk about the issues impacting their farming operations and to brainstorm potential solutions. As the 2019 Oregon Legislative Session begins, we urge Oregon decision-makers to take action to address these issues. 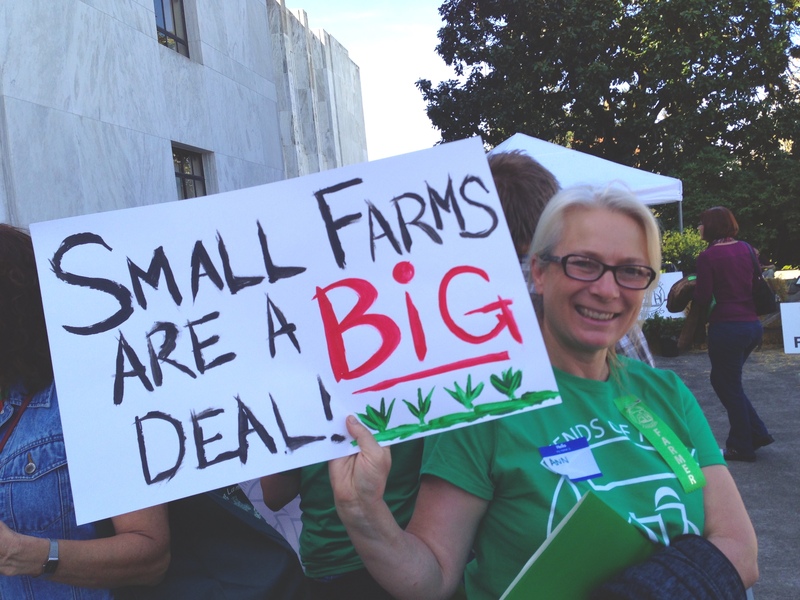 You can help amplify our voice demanding policies that benefit Oregon small and mid-sized family farms. On March 27th, 2019 we will be holding a day of action at the State Capitol in Salem to support legislation addressing these priorities. 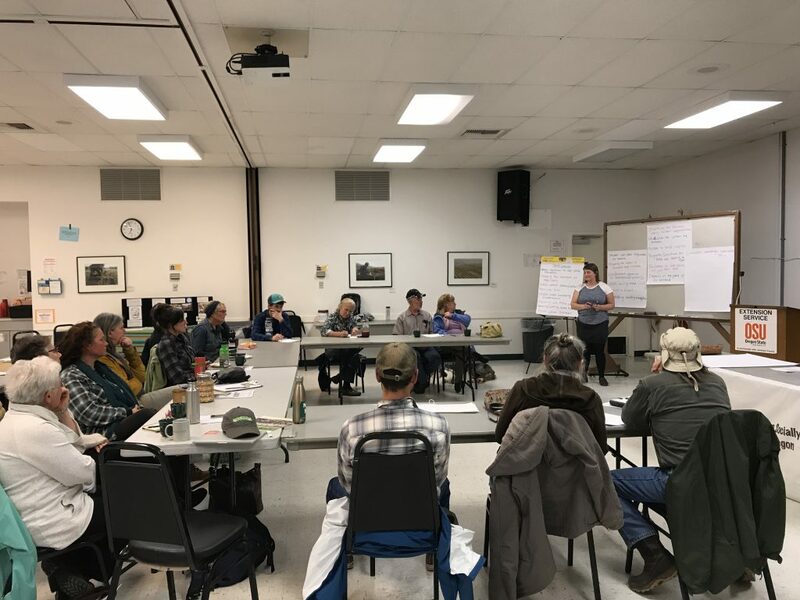 We will offer workshops in the morning to fill you in on food and farm issues, hold a rally on the Capitol steps, and provide opportunities for you to weigh in on legislation impacting local food systems and family farmers. Join us for the day and together we can show decision-makers that Family Farms Mean Business! The Oregon Legislature adjourned its one month ‘short session’ on Saturday, March 3. Because of the fast pace and short duration, there were fewer bills to track than in the longer six-month sessions that occur in odd numbered years. But Friends of Family Farmers nonetheless weighed in on a few key pieces of legislation. Here are a few highlights on farm related legislation from the 2018 session we were tracking. Setting a cap on greenhouse gas emissions from industrial sources may not seem like an issue directly impacting farms, but two ‘Clean Energy Jobs’ bills were the biggest pieces of farm-related legislation of the session. Also referred to as ‘cap and invest,’ these bills – SB 1507 and HB 4001 – would have set a ‘cap,’ and a price, on greenhouse gas emissions from large industrial sources. The revenues generated from this would be used to ‘invest’ in efforts to reduce greenhouse gas emissions, generate renewable energy, and help communities adapt to climate change. 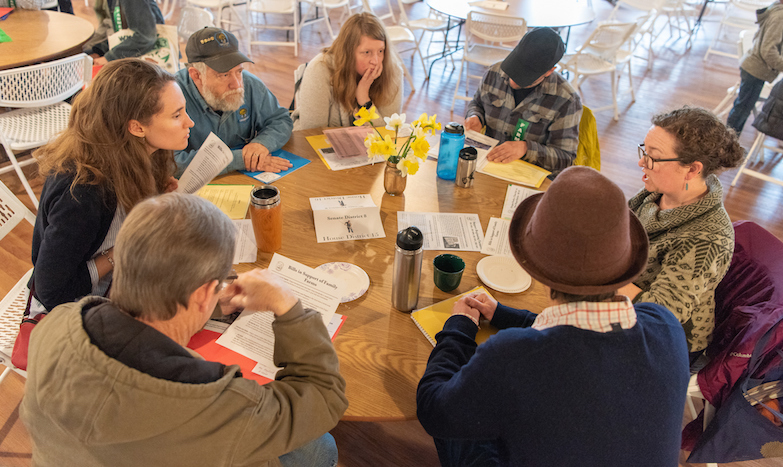 In the months leading up to the session, Friends of Family Farmers encouraged legislators to add provisions that would explicitly support climate friendly practices on small and mid-sized farms in Oregon. Farmers and ranchers are on the front lines of climate change, directly impacted by extreme weather events, a warming climate, and dwindling water supplies. But as land managers, we can also be part of the solution. Well managed rotational grazing on pasture and the use of cover crops can sequester carbon in soils. There are many practices on farms and ranches that can help address climate change by sequestering carbon in soils: planting cover crops, restoring pasture and natural areas, organic soil building, lowering soil disturbance through reduced tillage, rotational grazing, and more. But in the past, some types of ‘cap and trade’ approaches have tended to encourage a small number of practices on bigger operations – for example manure digesters on very large dairies. Funds from these types of programs have not always been made available for a wider array of climate friendly practices on smaller and mid-sized farms and ranches. How the program is set up is critically important, and FoFF raised these types of issues for legislators to consider before the session even began. Ultimately, the two bills that were introduced went a long way towards addressing the issues we had raised before the session. In particular, the bills would have created a Climate Investment Fund, a significant new source of money to support agricultural practices that sequester carbon in soils, protect working and natural lands on farms and ranches, and promote irrigation efficiency. Rural Oregon would have seen a significant percentage of the revenue generated under the program, and agriculture would be exempt from the emissions cap. As a result, Friends of Family Farmers testified in support of the bills, while highlighting a few areas where we felt the legislation could be significantly stronger. You can read our February 22 testimony to the House Rules Committee in support of the legislation here. While generally supportive of the overall legislation, our suggested amendments included: 1) adding a small or organic farm seat to the Program Advisory Committee charged in the bill with developing many of the program rules; 2) explicitly naming specific farming practices known to build healthy soils to the list of practices supported by the Climate Investment Fund; and, 3) closing a loophole that would allow a handful of the largest dairies in Oregon (those with over approximately 10,000 cows) to be exempt from the greenhouse gas emissions cap and reporting reporting requirements. A small number of extremely large dairies in Oregon are responsible for a significant share of the state’s methane emissions, rivaling the greenhouse gas output of some of Oregon’s largest industrial sources. Oregon should not allow the growing number of ‘mega-dairies’ moving into our state to be exempt from the emissions cap. Result and Next Steps: While hearings were held on both SB 1507 and HB 4001, and they each passed out of their initial committees, both bills died upon adjournment and did not receive a vote in the full House or Senate. 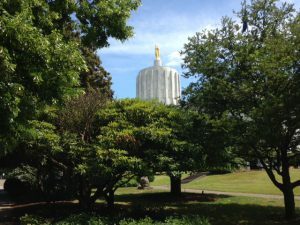 However, in an end of session budget bill, legislators included $1.4 million for new Oregon Carbon Policy office to further develop the ‘cap and invest’ concept for the 2019 legislative session, and legislative leaders announced the formation of a new ‘carbon reduction’ committee to vet policy proposals between now and 2019. House Speaker, Tina Kotek said in and end-of-session press release that the new Carbon Policy Office was funded “to study the economic impact of a cap-and-invest program, understand any impacts on traded sector industries, and examine ways to utilize Oregon’s forests and fields to sequester and store carbon.” Senate President Peter Courtney said that “the Joint Committee on Carbon Reduction will study ways Oregon can control and reduce its carbon emissions.” Legislation will likely be developed by this committee for action in 2019, and Friends of Family Farmers will continue to be engaged in this process. It has become like clockwork that whenever the state Legislature meets, bad land use bills emerge as threats that must be addressed. These bills often create exemptions from land use rules in order to speed a particular type of development or to address local political pressures over how farmland protections are being implemented. This session, the worst of these bad land use ideas were stopped, but if the past is prologue, they will emerge again in 2019. SB 1502 – a bill to effectively eliminate land use rules in 15 of the 18 counties east of the Cascades. This legislation would have allowed commercial or industrial development on agricultural lands outside of urban growth boundaries in many areas east of the Cascades. Introduced by key Senate leaders including Senate President Peter Courtney, the bill was dead on arrival and did not even receive a public hearing. HB 4075 – This bill would have rezoned 1700 acres of exclusive farm use (EFU) land in Washington County from rural reserve to urban reserve, thus opening it for future development. The areas impacted include some of the best farmland in the region, and this bill would have overturned a major land use compromise from a few years earlier intended to keep these lands rural. The bill did receive a public hearing, but died swiftly early in the session. -7 Amendment to HB 4060 – The ‘dash 7’ amendment to a transportation bill would have dramatically reduced the ability of local communities to stop new aggregate (gravel) mines proposed in agricultural areas. Many farming areas in the Willamette Valley, particularly those near river bottoms, are at potential risk from proposals to mine aggregate. Aside from the direct loss of farmland from the mining itself, neighboring farms can be harmed by mining-related impacts to water quantity, water quality, dust falling on sensitive crops, and other issues. Thankfully, this amendment did not advance. You can read FoFF’s testimony in opposition to the -7 amendment to HB 4060 here. While the amount of money available is unknown at this stage, the bills have the potential to support a wide range of activities and practices on farms that sequester carbon in soils, reduce energy use, encourage irrigation efficiency, and protect both working land and natural areas on farms and ranches. Farmers are not only on the front lines of experiencing climate change impacts like extreme weather and uncertain water supplies, as land managers we can also be part of the solution. HB 4001 and SB 1507 had public hearings in Salem on February 7 before a joint meeting of the Senate and House Environment Committees. FoFF was there to speak up for smaller and mid-sized family farmers and ranchers. We are generally supportive of these bills but also have some concerns we hope can be addressed through amendments. You can read our 3-page testimony here. You can also find a more general fact sheet on Incentives for Agriculture in the proposed ‘Clean Energy Jobs’ bills. These bills are a step in the right direction and acknowledge the important role that farms and ranches can play in addressing climate change. But they are facing strong opposition. We need you to raise your voice and help us ensure that small and mid-sized farms are able to access the programs the bill will ultimately set up. Unfortunately, the bills do contain a loophole that would allow a handful of Oregon’s largest mega-dairies to be exempt from any requirement to reduce, or even report, their annual methane emissions, continuing Oregon’s lax oversight even as the number of these large factory farm operations continues to grow. More than half of Oregon’s dairy cows are located at two of the largest mega-dairies in the country near Boardman, Oregon. Please take action today by sending an email to your State Legislators to encourage them to strengthen the bills for the benefit of Oregon’s small and mid-sized family farmers and ranchers. I am writing to show my support for the Legislature passing either SB 1507 or HB 4001 this session. But I believe these bills should be strengthened for the benefit of Oregon’s small and mid-sized family farmers and ranchers. These bills will create a fund that can be used to address the harmful impacts of climate change in both rural and urban communities, and to assist farms and ranches in adopting practices that sequester carbon in soils, reduce energy use, encourage irrigation efficiency, and protect both working lands and natural areas on farms and ranches. A few examples of Oregon specific practices that help sequester carbon in soils include: growing organically, cover crops and crop rotations, organic no-till practices, conventional no-till, conservation tillage, perennial pasture establishment, and rotational grazing of livestock. These practices should be identified in the bills to ensure they are supported in future years. Unfortunately, the bills contain a loophole that would allow a handful of Oregon’s largest mega-dairies to be exempt from any requirement to reduce, or even report, their annual methane emissions. Oregon cannot continue to ignore the climate and other harmful impacts of the growing number of mega-dairies moving to our state. This loophole in the bills should be closed. The 2017 Oregon Legislative Session is over. Adjourning on Friday, July 7 in a flurry of activity, the Legislature’s final actions included some unexpected surprises and good news. But these positive outcomes were tempered by what was overall a very tough session dominated by jostling over scarce funds and massive budget shortfalls, and the continuing inability of the Legislature to stand up to Big Ag interests that fight against common-sense rules to level the playing field for Oregon’s smaller farmers. Because of the state’s unclear budget picture, it was not until the very final days of the session that funding levels for a number of programs were settled on by top legislative leaders. The following is a wrap up on a number of key bills FoFF either worked on or tracked throughout the session, while this Capital Press article covers additional farm related bills. Farm to School – The Oregon Farm to School program, though it has steadily grown over the years, started out the session facing deep cuts or elimination in the 2017-19 biennium. However, in the final days of the session, Legislators kept funding stable and allocated $4.5 million over the next two years for the popular grant program that gets locally grown and processed foods into school meal programs across Oregon. Farm Direct Nutrition – In an unexpected turn, the Legislature substantially boosted funding available for Farm Direct Nutrition programs that help low-income seniors and young mothers with children buy food directly from farmers markets and farm stands. At the beginning of the session, food security and farmers market advocates were fighting just to hold on to $300,000 in one-time funding that had been provided in 2015. However, in the final days of the session, Legislators allocated $1.5 million for this important program that directly supports small farms and connects many low-income Oregonians to healthy, farm fresh foods. On-Farm Cider – Oregon apple and pear growers engaged in the burgeoning ‘hard’ cider industry scored a win this session by passing a bill to treat on-farm cideries the same as vineyards. That means that farms with more than 15 acres of apple or pear orchards will be able to bottle and sell cider on-farm, offer tastings, serve food, and engage in agritourism opportunities new to the cider industry. The bill goes into effect on January 1, 2018. Genetically engineered canola is not welcome in some parts of Oregon, where it can cross pollinate with and contaminate valuable vegetable seed crops. Rules for Genetically Engineered Crops – For the fourth session since 2013, the Oregon Legislature failed to pass bills to prevent problems associated with genetically engineered (GE) crops. Hearings were held in both the House and Senate on bills to restore local control to communities that adopt measures to protect farmers from GE crop contamination. The Legislature banned such local measures back in 2013 in favor of statewide regulations for GE crops as part of a so-called ‘grand bargain’ relating to tax and public employee pension issues. However, statewide regulations for problematic GE crops have yet to be adopted, leaving Oregon farmers unprotected from GE contamination risks. A separate bill that would have held patent holders of GE seeds and traits financially liable if their products were found on nearby land did receive hearings in the House, but did not get to the House or Senate floor for a vote. As in past years, groups with close ties to the biotech and pesticide industries opposed common-sense rules and regulations for GE crops. Mega-Dairy Air Quality Rules – Legislators failed to advance a long overdue air quality program to address air contaminant emissions from a growing number of exceedingly large ‘mega’ dairies in Oregon. Advocates for small farms and clean air argued that the recent approval of a new 30,000-cow mega-dairy in Morrow County by the Oregon Departments of Environmental Quality and Agriculture necessitated moving forward with the program before air quality in the region worsens and more small dairy farms go out of business. However, even a bill that would have enacted recommendations from a stakeholder task force to create an air quality program for large dairies was opposed by the state’s largest source of dairy related air pollution, the 70,000-cow Threemile Canyon Farms, as well as other industry groups that support continued lax oversight for large corporate farming operations. Beginning Farmer Tax Credit – A proposal to create a new tax credit for landowners who agree to multi-year leases with beginning farmers did not advance this year. A likely victim of the state’s precarious budget situation, the bill was sent to a committee that never even scheduled a hearing on it. While there generally seems to be agreement in Salem that more needs to be done to help out beginning farmers, new tax credits were not in the cards for this session of tough budgetary decisions. Ultimately, the final tax credit bill of the session phased out a number of existing tax credits, allowing some to expire and capping others, to contain costs. The beginning farmer tax credit concept may have to wait until the state is on better financial footing. This is something we will continue to push for. Pesticide Use Reform – Bills requiring advanced notice of aerial pesticide spraying to help protect farmers and rural residents from pesticide drift and crop damage failed under stiff opposition from the timber industry and agribusiness groups with ties to pesticide manufacturers. Other legislation to protect pollinators by restricting use of neonicotinoid pesticides to licensed applicators failed due to opposition from some ag industry groups. Neonicotinoid pesticides have been linked to bee die-offs in Oregon in recent years. OSU Statewide Public Service Program Funding – OSU Extension and Agricultural Experiment Stations, which support farmers with research and training needs, are part of the OSU Statewide Public Service Programs. In 2015, these programs received a significant funding boost and new positions, including those supporting small farms and community food systems, were filled. To maintain continuing service levels and staffing for 2017-19, the program needed an additional $9.4 million. In the end, the Legislature provided only $5.6 million. OSU believes that over the next biennium, this shortfall will result in the loss of 17 full-time positions, which could impact OSU Extension programs and Agricultural Experiment Station research important for farmers around the state. Manure Digester Tax Credit – The manure digester tax credit was first created in 2007 and was intended to encourage diaries to convert manure into energy. It was supposed to expire at the end of 2017. 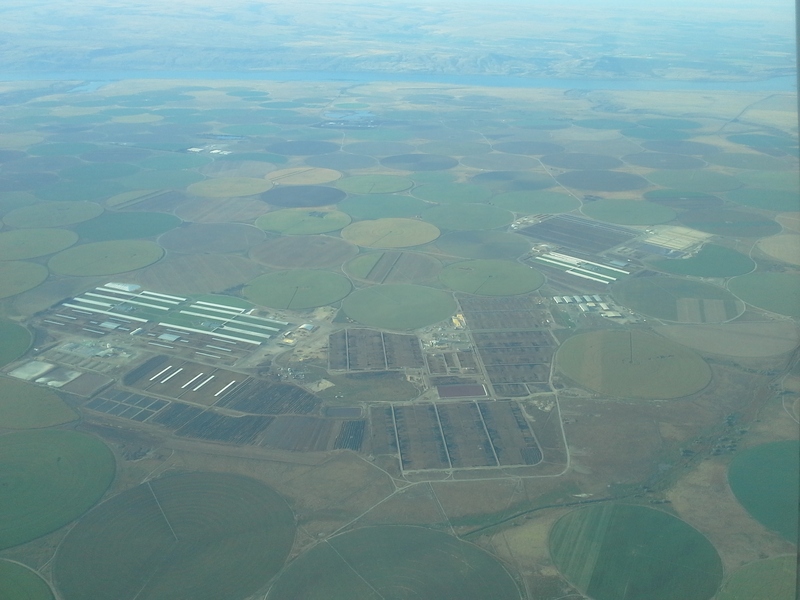 While ostensibly available to dairies of all sizes, the economics and practical considerations for digesters – including that they require lots of animals in confinement to produce enough manure to be even semi-economical – have meant that most of the money for this tax credit has flowed to the state’s largest confinement diary operation, Threemile Canyon Farms. At its peak in 2014 and 2015, this tax credit was costing the state over $4 million/year. In 2016, with little discussion, the Legislature extended it until the end of 2021 with no cost caps and little agency oversight. Because Oregon lacks an air emissions program to address pollution from large dairies (see above), in addition to the state’s massive budget shortfall this year, it seemed possible that this tax credit could be eliminated or substantially reformed. In the end, the Legislature capped the tax credit at $10 million per biennium moving forward and rejected proposals to extend it until 2024. Additionally, it will now be managed by the Oregon Department of Agriculture, rather than the Oregon Department of Energy. It is unclear how this change will impact the administration of the tax credit, but the General Manager of Threemile Canyon Farms, the largest recipient of the tax credit, sits on the Oregon Board of Agriculture, which advises the Oregon Department of Agriculture. While capping the tax credit and declining to extend the sunset date further are good outcomes, it is unfortunate that Oregon will spend up to $5 million annually on this tax credit over the next several years, with much of the money going to help Oregon’s largest dairy operation with manure management. This money would be much better spent investing in beginning farmer programs where there is a well-documented need for greater public support. Agricultural Heritage Program – In the final days of the session, the Legislature approved a new program aimed at offering grants to help with farm succession planning and farmland protection strategies like working lands easements. This type of funding could potentially be used to help land trusts or Soil and Water Conservation Districts protect farmland at risk of development, and could also potentially help with beginning farmer access to land if funds are targeted to do so. However, the bill passed by the Legislature didn’t actually provide money for grants in the near term. Funding over the next two years will instead go to set up a new permanent ‘Agricultural Heritage Commission’ that will be tasked with developing program rules and priorities and reviewing future grant proposals. Funding for the grants and farmland protection strategies will have to be sought in future years. Because program priorities will be set by the as-of-yet-unnamed Commission, it is not yet clear what projects would be supported if or when money becomes available in the future. If the program priorities are not clear, or the Commission makeup is flawed, future public funds could end being poorly spent. How will OSU manage a funding shortfall that could lead to the loss of up to 17 positions in the OSU Statewide Public Service Programs? Who will be appointed to the new Agricultural Heritage Commission and what priorities will they set? Will Oregon address long-standing tax and pension reform issues over the next two years, or will we come into 2019 with another budget crisis? How much money will the state spend on the manure digester tax credit in coming years, and who will be the biggest beneficiary? As a new 30,000 cow mega-dairy grows to full capacity in the coming year, will the Legislature finally act on the need to regulate air emissions from these huge operations? Will it take another crisis, like the Oregon GE wheat escape in 2013, before the Legislature takes steps to protect farmers whose livelihoods are at risk from GE contamination? We will be tracking these and other issues in the coming months, but for now, this is the last edition of ‘Muckboots in the Capitol’ until we get closer to the next Legislative Session. While ‘Muckboots in the Capitol’ will take a hiatus until the next Legislative Session, issues around money and politics that help shape what state policy makers decide aren’t going away. That’s why we are launching our new Corporate Ag Watch Blog to expose the influence that large corporate agri-business interests have at our State Capitol. The first edition is already posted – we hope you enjoy it! 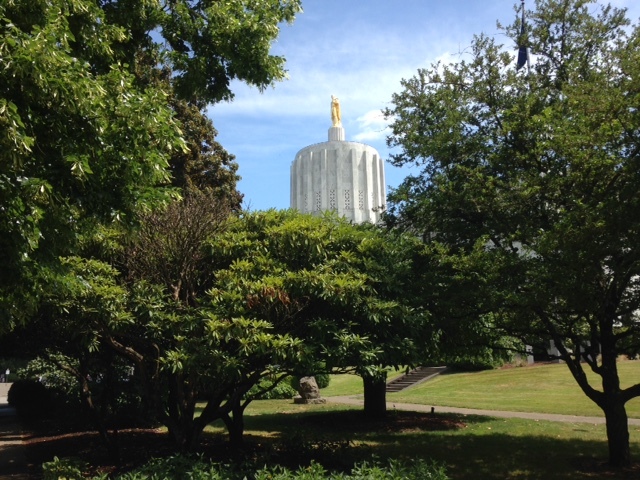 The Oregon Legislature is racing towards its July 10 end date with a flurry of activity. Lawmakers have not yet determined how to fill major budget shortfalls, which has meant proposed cuts to programs like Farm-to-School. The Legislature is planning to meet through much of the July 4 weekend, and at this point in the session things can literally change by the hour. 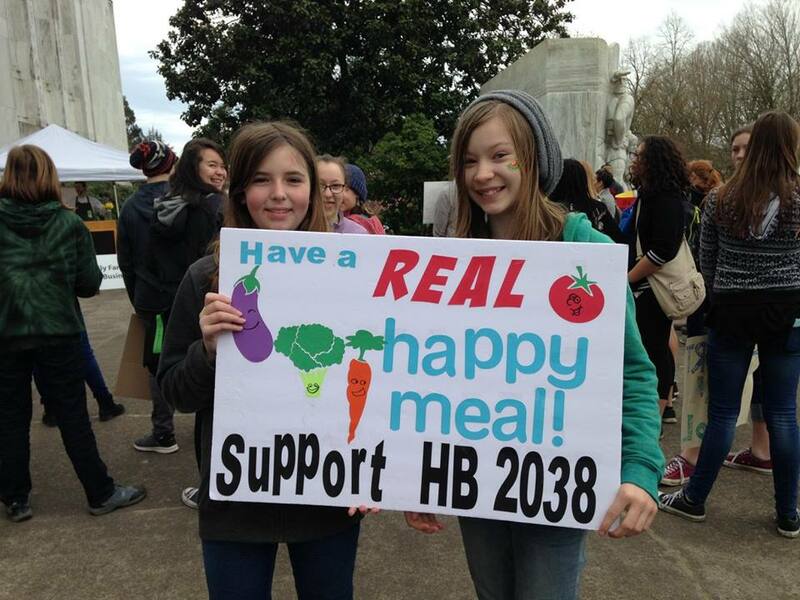 HB 2038 – Oregon’s Farm to School Program. This bill had an important hearing in the Ways and Means Education Subcommittee on June 21, and the committee voted to advance it on June 30. While the vote signals a final Farm to School funding bill will pass before the session ends, amendments made in committee would provide only $2.5 million for the program for 2017-19, a little more than half of what was funded during the previous two years. 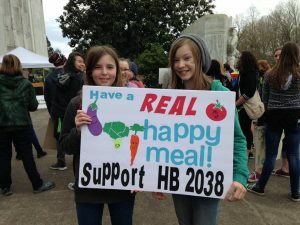 While this would amount to a significant cut to the program, other amendments intended to prevent spending of state dollars on foods that are already federally required to be included in school meals should help spread out whatever funding is available to a wider diversity of Oregon grown and processed products. Friends of Family Farmers supports fully funding Farm to School with $5.6 million for 2017-19. Things can change quickly in the final days of the Legislature and additional funding could still be added back in. Please call or email your Legislators today and over the weekend to advocate for fully funding Farm to School with $5.6 million. HB 2739 – GE Patent-holder liability. This bill would protect farmers who have experienced financial losses due to contamination from genetically engineered (GE) crops. It would allow farmers to be compensated by GE crop patent-holders when their products have crossed property lines and caused financial damage. It had a public hearing in the House Rules committee on May 23 but has since stalled out due to pressure from groups closely aligned with the biotech industry like Oregonians for Food and Shelter and the Farm Bureau. Recently, Malheur County farmer Jerry Erstrom called these groups out in the Capital Press for their exaggerations about the bill and unwillingness to take action to protect farmers from multi-national companies that typically own GE patents. With time running out on the session, the bill is still in play – please call and email your State Legislators today and over the weekend in support of HB 2739 and for holding GE patent-holders accountable when they cause farmers financial harm. Tax Credits – Beginning farmers or manure digesters? In a session full of budget cuts, tough choices are being made about what kind of tax credits will be available. Tax credits are a way of using public dollars to encourage certain activities. Sometimes they encourage good things, sometimes they don’t. We came into the 2017 session advocating for HB 2085, a bill to establish a new beginning farmer tax credit in Oregon. This bill would encourage landowners to lease or rent land to beginning farmers and ranchers to help address access to land challenges that many beginning farmers face. Similar tax credit programs exist in Iowa and Nebraska and recently Minnesota created its own beginning farmer tax credit. Unfortunately, it appears this concept is dead for the year, a victim of Oregon’s budget shortfall. Separately, in part due to the state’s precarious funding situation, we have strongly argued for repealing, and against extending, the controversial manure digester tax credit. This tax credit has cost the state millions in recent years and primarily benefits Oregon’s largest factory-scale dairy operation, Threemile Canyon Farms. Currently, no cap on spending for this tax credit exists and it was extended last year until the end of 2021 with little serious debate. The 70,000-cow Threemile Canyon Farms – a huge corporate operation with out-of-state owners – and their allies at the Oregon Farm Bureau and Oregon Dairy Farmers Association recently testified in support of allocating an astonishing $10 million for this tax credit over the next two years. This would establish a cap for the tax credit at more than double the size of it’s current use, with the potential for further transferring tax dollars to huge operations like Threemile at a time when programs that benefit family farmers face cuts. Earlier in the session, these groups fought against and helped kill a proposal (SB 197) to require mega-dairies like Threemile Canyon Farms and the recently approved 30,000-cow Lost Valley Farms to address their air pollution problems. 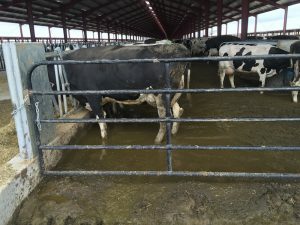 At this point, the fate of a bill that would have extended the manure digester tax credit until 2024 is unclear, as are various amendments ranging from those to cap costs at or below current levels, to those that would allow the program to grow substantially. Friends of Family Farmers believes the manure digester tax credit, which was originally intended to expire at the end of 2017, should be eliminated until Oregon puts in place a comprehensive air quality program that addresses pollution problems from the state’s largest concentrated animal feeding operations. Any future manure-related tax credits should be used to assist producers that raise animals responsibly on pasture. Please call and email your State Legislators today and over the weekend to eliminate the costly manure digester tax credit subsidy this year. HB 3249 – Agricultural Heritage Program set up – This bill establishes a program that could be used in future years to fund grants for conservation management planning, working lands easements and farm succession trainings in Oregon. The bill passed through the Ways and Means Natural Resources Subcommittee on June 28, signaling its likely passage before the session ends. The bill provides $190,000 for establishing an ‘Agricultural Heritage Commission’ and creating rules to help oversee a grant program. 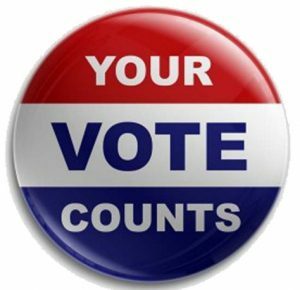 It does not appear to fund any grants in the 2017-19 biennium. We have had mixed feelings about this bill since the session began. It emerged from a ‘work group’ selected by the Governor in 2016 that includes organizations that have opposed similar farm conservation funding proposals in the past, as well as land trust groups that we have worked with before. On the one hand, we generally support the types of grants HB 3249 talks about and we advocated for their creation back in the 2015 legislative session. On the other hand, we oppose the creation of the ‘Agricultural Heritage Commission’ the bill also sets up. This commission, a new permanent entity that will likely end up costing the state money whether grants are being issued or not, may have been a compromise aimed at securing support from groups who have opposed similar farmland conservation efforts in the past. These groups appear to be suspicious of allowing the grant program to be managed by Oregon’s Watershed Enhancement Board (OWEB), even though OWEB has provided grants for salmon and watershed protection on farms and ranches for years. In our view, the new Commission is a costly and extraneous layer of bureaucracy that, just to maintain itself, could end up siphoning money away from future funding that may become available for grants. Further, the makeup of the Commission will have a major influence on grant funding priorities, which makes us concerned that it may not address key issues that many who have supported this bill believe are important, including helping new and beginning farmers with access to affordable land. We would have preferred this new program to be established as a pilot project while making grant funding available immediately. Instead, it puts off grant funding for future years while the Commission is named and sorts outs its priorities. Nonetheless, the bill is likely to pass in its current form. Once it passes, it will be necessary to keep an eye on how the Commission members are named, what priorities they set for funding, and how grant funds are ultimately spent if or when they become available.